What are the precautions, should you take, if having piles? Piles is an extremely painful condition. Though not life threatening, it can worsen significantly if left untreated for a long while. More importantly, even after the initial treatment, there are some precautions that you must continue taking. This will make sure that there isn’t any recurrence and the pace of recovery is also relatively fast. 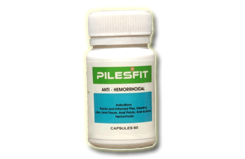 The precaution for piles is essentially in terms of food items and your regular fluid intake. You need a balanced diet that is high on fiber and cut down spices as much as possible. This will make sure that the bowel movement improves and the digestive process gradually returns to the normal and brings in long-term relief for the patient. The precautions in terms of food group can be easily classified into what you must take and what you must avoid. First the key elements that you should not miss out. • Fluid Intake: Inadequate water/fluid intake can lead to dehydration and worsen constipation conditions if you are already prone to it. Therefore, it is very important that you pay attention and make sure that you drink at least 4-5 liters of water a day. Apart from water, it is also important to take in several vegetable or fruit juices like Radish and Sweet Lime. This will make sure that the passage of food remains smooth and all the food is washed down properly without any hindrance. • Light Food: The composition of your overall diet has to be extremely light. It is better to small and frequent meals. Make sure that you are not stuffing yourself too much at any point of time. It is extremely important that the body is able to digest every element of food that you take in without any problem. Light meals would also make sure that the quantity of food remains regulated. • High On Fiber: Your meals should have adequate amount of fibers. Be it through fruits, vegetables or grains, this is one aspect that cannot be ignored at all. 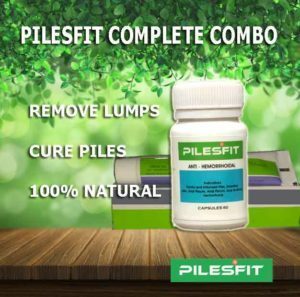 If you see most of the cure for Piles, comprises of food items that increase the fiber in our meals. This will improve digestion, soften the stool and significantly enhance the bowel movement. 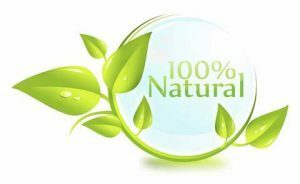 • Include Digestive Supplements: It is also important to take in digestive supplements like Isapghol or Triphala. They aid the overall bowel movement and act as mild laxative as well. It is important to take these for at least 6-9 months and even after that if you feel the need. This will make sure that the repair process of the body continues unabated and the stool remains soft. You can have it after dinner once a day. • Time Your Meals: One of the key reasons for constipation and digestion related problems is irregular meals. If you have suffered piles, you must make sure that it is not repeated again. Your meal timings are often as important as the meal quantities. Have breakfast, lunch and dinner at the same time everyday. Do not keep long gaps between meals and snack on fruits regularly in between. This will ensure that the overall body metabolism goes on a well designed course and helps in the digestion of the food. However, there are some food items that you must avoid. More importantly your list of precautions should also highlight those food groups that could worsen the piles. This is important as it could significantly harm your system and even lead to a recurrence of the problem in future. 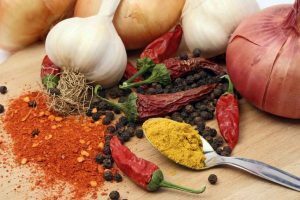 • Avoid Spicy Food: Food that is extremely spicy or too hot should be avoided at all cost. They unnecessarily strain the system and even makes the passage of stool painful at most times. Individuals may face burning sensation or pain as a result of too spicy food and this can worsen the piles as well. Therefore keep your meals light and avoid anything that is too spicy at all cost. You should also avoid all types of chillis, green, red, Indian, Mexican. Even pickles, the spicy variants, should be strictly avoided at all cost. Try to keep a simple and uncomplicated meal that is nutritious. • Avoid Sour Items: Sour food like tamarind, tomato, curd and even lemons should be avoided. The whole idea is to restore the digestive balance of the body and often these items can aggravate the piles. So it is best to avoid these type of sour items in your daily meal. • No Deep Fried Food: We all know that too much of oil and butter interferes with the digestive system, adds calories and even leads to weight gain. But you must remember that deep fried food can be a big problem for piles. Try and keep your meals light comprising of as many boiled and steamed elements as you can. This will ease the overall digestion and also keep the bowel movement proper. Most times fried food add unnecessary stress to the basic body functions and this should be a big no for piles patient. • Avoid Heavy Pulses: You also need to avoid food groups that are difficult to digest like heavy pulses. These include the likes of kidney beans, whole bengal grams, Black urad and the like. These put unnecessary strain on the digestion system and you need to avoid that completely. • Avoid Alcohol & Hot Beverages: You must understand that drinks and hot beverages like tea and coffee dehydrate the body significantly. As a result, you must avoid it completely. You should also avoid any kind of tobacco, whether you smoke or chew it. All of these interfere with the digestive tract and result in additional acid secretion. Therefore, it needs to be avoided. Therefore, you must ensure that your regular diet is simple and easy to digest. The idea is to push in maximum nutrition and minimum stress to your body. A disciplined and constructive diet plan is one of the simplest ways to get a long standing cure for piles.